Watching K-pop groups like SNSD strut through an airport is almost like watching Fashion Week in New York or Paris. Designer goods from Yves Saint Laurent, Louis Vuitton & Marc Jacobs are seen regularly. The iconic red soles of Christian Louboutin shoes can be seen from a mile away on many stars, in fact, Seo In Young is rarely seen in anything else. Luxury brand consumption in South Korea has been steadily on the rise to a level that some would describe as “obsession” and the explosive popularity of the entertainment industry has been receiving partial credit. This small country, with the world’s 15th largest economy spends so much on these high-end brands that they are ranked only behind China in luxury sales for Asia, and Louis Vuitton even reported that they were 4th in the entire world when it came to purchasing their brand. That is a crazy stat considering that the population of 50 million is going toe-to-toe in spending with the likes of China and the United States, who dwarf South Korea in both money and people. So, do these kind of numbers really indicate that the country is crazy over labels? The labels themselves seem to think so, considering there were recently trade deals made between Korea and the European Union that would remove certain tariffs on the imported items, but instead of prices dropping on these costly items to reflect the change some of the most popular companies raised them even higher. Some consumers were angry, while others took a more enterprising approach. When it was rumored that Chanel would raise prices again this past October, the brand saw remarkable sales and the purchasers viewed the bags as an investment. Since the prices were going up, the second-hand bags could actually be sold for a profit. Who needs the stocks and bonds when you’ve got purses? Now, this isn’t necessarily strange behavior for limited stock items. Similar situations have been reported for things as benign as Beanie Babies or as vital as bottled water and plywood prior to a hurricane. The hoarding and reselling of handbags is mostly harmless. However, upon reading that convenience store chain 7-Eleven would be selling Gucci in some of their Seoul locations after doing so successfully this past Thanksgiving, one begins to believe that maybe Koreans do have a bit of a problem. 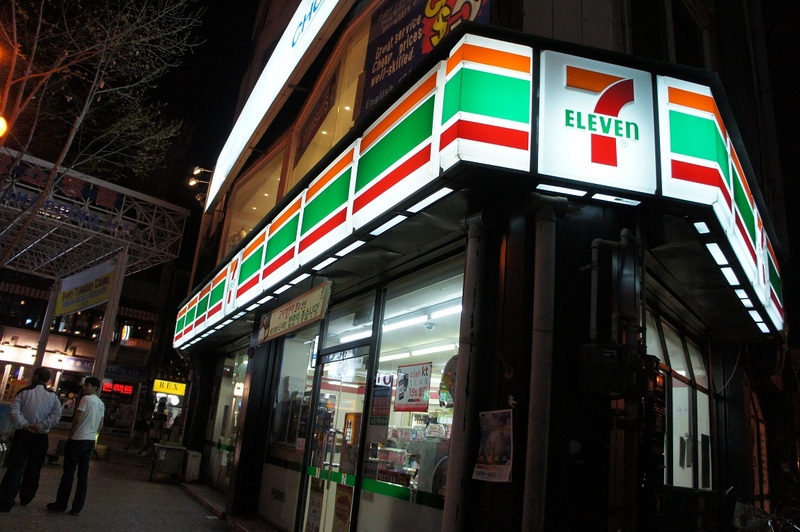 Although being able to get that new clutch and a cherry slurpee at the same time would be pretty convenient, and hey, that is what 7-Eleven is all about. The main issue with this particular infatuation is that there are a large number of consumers who are living outside of their means in order to own a piece of high society. Credit cards are being charged to the max to keep up with this expensive habit and some people have had to turn to loan sharks when the debts get out of control. The loan sharks should take a lesson from some of the stockpiling shoppers and make their debtors pay up in Pradas, so that they can get an even better return on their investment! Do you think that the celebrities really play that big of a role in influencing these types of purchases, or would people be making them regardless?